Folks. Folks! Margarita Festival is coming up. It's the most wonderful time of the year for all y'all who like an expertly crafted margarita surrounded by good friends and good food. This year, as always, area restaurants will be vying to win Best Margarita. Among the contenders are Agavos, Blue Monkey, Babalu, Regina's, Mi Tierra, My Favorite Place, and many more. Proceeds from the event go to Volunteer Memphis, and tickets always sell out. This is a 21 and up event and is set for May 11th, 3 to 6 p.m., at Fourth Bluff Downtown. To talk us through the beautiful mysteries of the margarita, we turned to one of Memphis' most notable bartenders, Dave Parks. (Many know him as "Parks!") Parks has been behind the bar at all of Memphis' most happening restaurants. He's currently serving drinks at Iris. What's your view on margaritas? It brings in spring. Coming out of the cold weather, most people are leaning toward heavier, more warming drinks — whiskey, things like that. 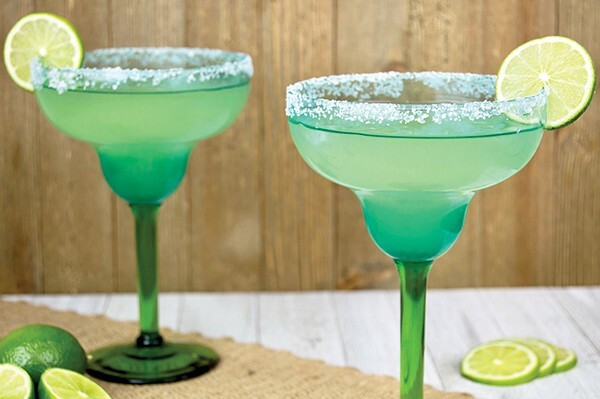 And then when the weather starts to warm up, people want something that's a little lighter, a little more refreshing, and margaritas kind of epitomize that ringing in of spring. Do you like making them? Do you have a view on the way they're made? Okay, mixes ... how about no. They've got way too much corn syrup in there and flavorings, and they hurt so bad the next day, even if you use a decent tequila. You use other ingredients that are pretty good, and when you use the mix, it's not good. It's gonna hurt tomorrow. I've always used a straightforward, easy-to-remember formula. It's 2:2:1:1. I do two parts tequila, and in margaritas, I always go with a white tequila. As long as it's one that's a decent quality. There are ones out there that are really inexpensive like Espelon. Or, you can go a little higher with Casa Noble. So, two parts tequila, two parts lime juice. I like fresh lime juice. If you're feeling lazy, Nellie & Joe's makes a commercial key lime juice. And if you cut that with half water, it's perfect. You can keep that in your fridge, and it lasts for four weeks. And then one part orange curacao. You can use a triple sec, but I like the orange curacao, though, because it's a little richer and it's not any more expensive. And one part agave nectar. I always cut that with about half water, too, because it's so thick. Quick and simple: two parts tequila, two parts juice, one part orange curacao, one part agave syrup.You can make them, no problem, in no time at all. When someone is drinking a margarita, what should they be tasting? I like dry and citrusy. Sometimes if you want something that's a little richer, you can go with a Reposada tequila. You can smell and taste a little toffee or caramel in it. At some places, you can order multi-colored margaritas and the like. What's your take on the novelty margarita? All to taste, if you're looking for that sort of thing. You feeling festive? Yummy. Blue curacao — you know that turns drinks blue. Well, it's just a colored version of orange curacao. It's a novelty item. Are you a frozen or on the rocks guy? I don't like them frozen. I like them on the rocks. I actually drink them chilled and then strained. Anything else we should know about margaritas? Spend money on your ingredients; you'll be a lot happier the next day. Don't don't end up with heartburn. It's because [your favorite place to get a margarita is] using a lime juice that will claim to be a lime juice. You know, there are several brands out there, when you look at the ingredients in there, they're water, corn syrup, citric acid, and food coloring. So it's not the food that's giving you the heartburn, it's the poor quality margarita that they're making you.